Grip It and Flip It. 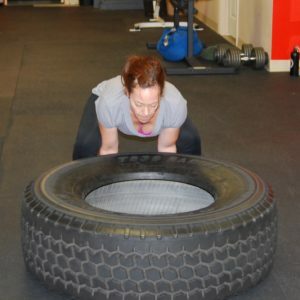 #realpeople #realfitness gatewaycrossfit.com … [Read more...] about Grip It and Flip It. If you look closely you can see Ashley's spinal erectors firing. THAT's what we're talking about!!! Strong, resilient, functional muscle that serves you over a lifetime. 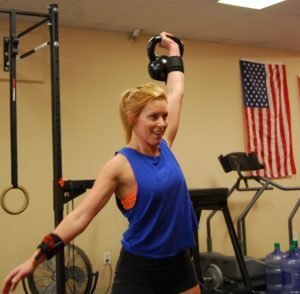 Come get your strength on! … [Read more...] about Get Your Strength On! "There is no such thing as 'firming and toning'. There is only stronger and weaker." -Mark Rippetoe. … [Read more...] about Only stronger and weaker. The kids are back in school; it's time to do something for YOU! 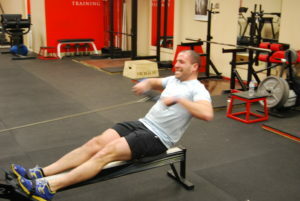 Lose weight and get in shape with the workouts that create The World's Fittest Men and Women. :: New clients get 2 FREE SESSIONS with package purchase! And your first workout is complimentary! That's a $140 savings. 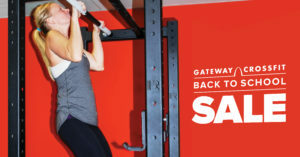 :: Bring a friend and save up to $300! :: Bring two friends and save up to $380! Hurry! Sale ends 9/18/2015. … [Read more...] about BACK TO SCHOOL SALE!! Everybody (every body) is different. Some people will never have a picture perfect squat. The trick is finding the best position for THEIR body. 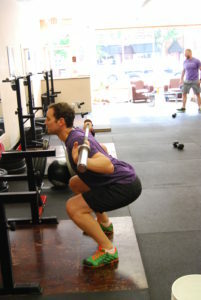 Jason is a great example as very tall, long-legged people usually struggle with Back Squats. But with practice, patience, (and a good coach) almost every body can benefit from the "King of Exercises". To get a first-hand idea of what we mean, set up your complimentary first session today! … [Read more...] about Every Body. 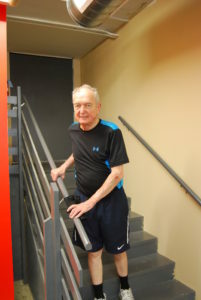 FANTASTIC story: Chuck got a little careless on Saturday night and took a fall down the last four stairs in his house. He hit a couple of walls but never left his feet!! Frankly, that would be almost impossible for a sedentary 77 year old. But Chuck isn't sedentary. He puts his time in; squats, deadlifts, and WOD's. And he'll be the first to tell you that's why he was upright at the bottom of those stairs. It's all about the strength, folks. (It's also a tremendous honor to make such incredible … [Read more...] about Last Man Standing.